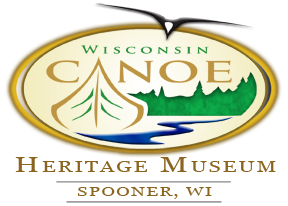 an institution devoted to the the acquisition, preservation, and dissemination of materials and information relating to the history and heritage of canoe building, canoes, and canoeing. features displays comprised of canoes and canoe related ephemera from the collection of Jill Weber Dean and Jeff Dean, as well as others. This eclectic assemblage of boats is exciting in its diversity, and includes significant craft from the golden age of North American canoeing as well as work by important contemporary builders. 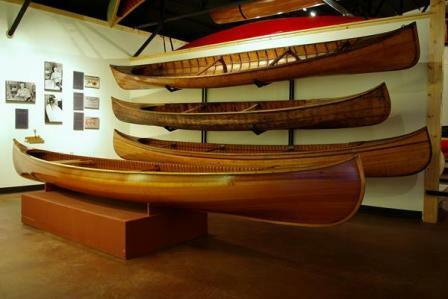 The building traditions of the eastern seaboard, the mid-west, and Canada are all represented, providing the museum visitor a fascinating opportunity to experience the evolution of canoe design and manufacture in proper historical context. 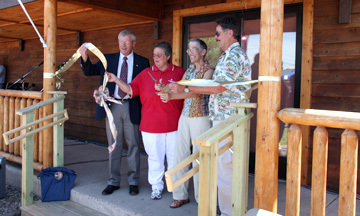 is a 2,500 square foot, state of the art facility designed to celebrate the rich legacy of canoe craft while inspiring and educating a new generation of builders. 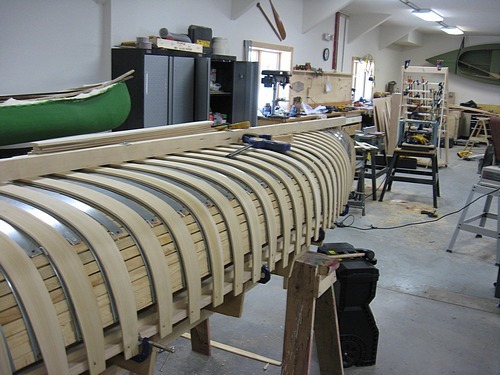 Participants in canoe shop programs experience traditional and contemporary construction and restoration techniques through formal (and sometimes informal) instruction by skilled mentors. 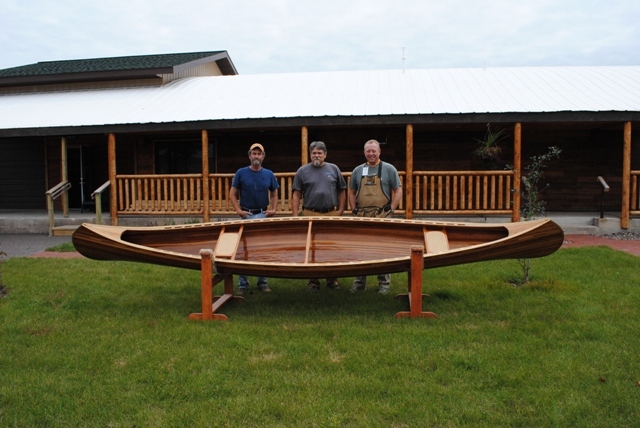 For more information visit our Canoe Shop. Our normal exhibit hall hours are listed to the right, but we also have special events, classes, shows, and other activities. For more information see the list of news items on our Home Page or check out the details on our Upcoming Events page..
which houses the exhibit hall and shop was originally part of the Baker Grain Elevator, built circa 1912, and once a part of Spooner's railroad infrastructure. The exposed steel truss work reflects the architectural vernacular of the era while providing a visually stunning display space for the collections. You can find information about how to find us or otherwise get in touch on our Contact Page. to arrange a visit. We hope to see you soon. The WCHM wants to be accessible to people from all walks of life, so we have a suggested admission donation policy of $4 for adults, $2 for teens, and kids free. We will gladly accept additional donations from visitors, or none at all. Admissions dfonations are, however, an important part of our annual budget and are very much appreciated, as are gift store purchases.